Congratulations to DAG, winner of yesterday's Person-of-Mystery contest. He correctly identified Edwin Booth as the unknown person in the photo! I was up in the hills completing a Wilderness Medicine course, so I couldn't check in yesterday, but Edwin Booth was on my mind. Why? 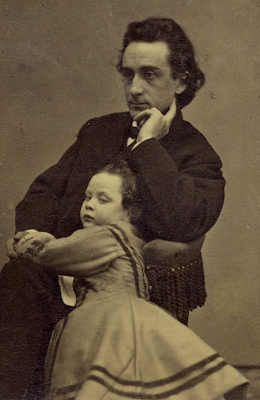 Well, things like first aid and saving people were in my head and then I stumbled upon a photo of Edwin Booth and his daughter. So who was Edwin Booth? At one time, he was considered the foremost actor in the United States and considered by many the best Hamlet of all times. Certainly he was more famous than his actor brothers and eclipsing the fame his father (also an actor) had during his lifetime. Just like a good Shakespearean tragedy, the Booth family had its own internal conflict. Edwin was a strong unionist and John Wilkes was an ardent secessionist. As the war progressed, the two frequently quarreled over politics. Then when his brother assassinated President Lincoln, Edwin's life took a terrible turn. He believed that everything he had worked so hard for, his family name, his career, and his reputation would be forever tarnished by his brother's actions. 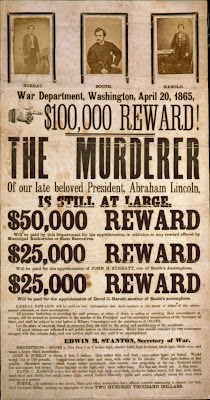 Actually, history has proved his fears true as today, Edwin is chiefly remembered as the brother of Lincoln's assassin. The interesting thing is that Edwin Booth at one time personally saved Lincoln's son from harm. 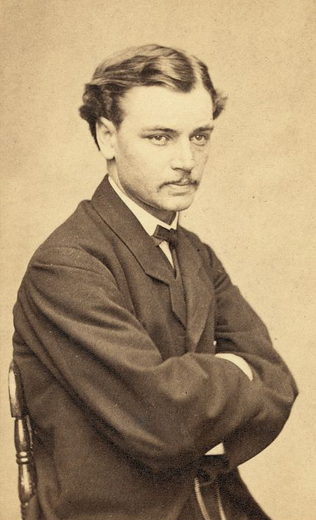 It happened at a train station in Jersey City, New Jersey, during the Civil War when Robert Todd Lincoln, the president's oldest son and the only one to reach adulthood, was traveling from New York to Washington. 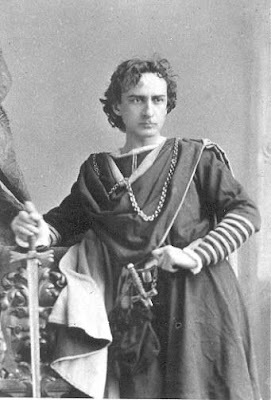 Edwin Booth was on his way to Richmond with his friend John T. Ford (owner of Ford's Theater where the president would be later shot). Robert Lincoln was pressed by a crowd towards a train and fell helpless between the train and the platform when the train began to move. Instantly a man forcefully pulled the helpless Lincoln up by his coat, saving him from certain injury and possible death. Turing to thank the man, Lincoln recognized it was the famous Edwin Booth and thanked him by name. Following the assassination, Edwin was personally heartbroken, despondent, and feared for his life and the lives of his family. Friends raced to be with Edwin to prevent a relapse into alcoholism or worse. For years, his career was impacted as theater owners would not permit him to preform. Eventually as part of his rehabilitation, Edwin wrote an autobiography in the form of letters addressed to his daughter Edwina and performed in Europe for a time, but interestingly enough he never wrote of saving Lincoln. Robert Lincoln would however and reported the incident at least three times in writing and spoke about it on at least two occasions. I was fortunate enough to have a high school history teacher who was a huge fan of Lincoln. Dating myself a bit, during the 100th anniversary of the assassination she mentioned once that Edwin had saved Robert Lincoln's life. It's just one of those facts I have always remembered. 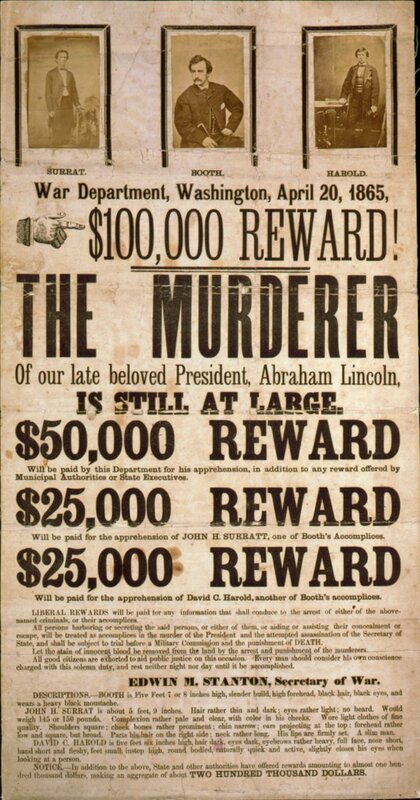 Robert was an interesting person himself, having been present for other assassination attempts of presidents. I hope that you are able to continue your mystery photos. Nate: Thanks for another interesting history lesson. 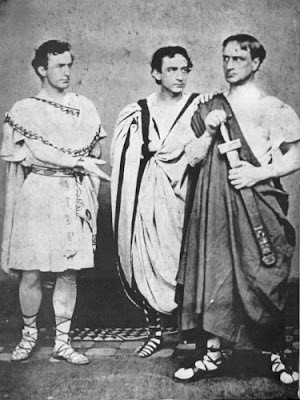 Edwin Booth founded The Players in NYC, they still exist.